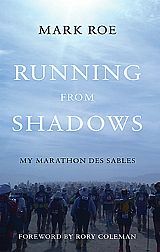 This finally breaks the back of what had been two successive DNFs in multi-day stage racing after successfully completing the Marathon des Sables in 2012: the Sahara Race (Jordan) in 2014 and The Ancient Khmer Path in 2015. I’d put in place numerous changes over 2016 to try and up the chances of completing it, and they seem to have worked: everything from eating better, sleeping well, training harder and longer, and generally taking a more holistic view of life. It was still a tough, tough race, not so much in terms of terrain (though the Stage 3 jungle section threw up a surprise), but in terms of that searing combination of heat and humidity mixed in with the usual trials and tribulations of attempting to run 140 miles in 6 days with limited resources. eating a whole tube of BBQ Pringles all to myself. There were a couple of lowlights too: at one point on the long 38 mile Stage 3 heat exhaustion or stroke symptoms started to get the better of me which took a 3 hour recovery time before I could continue to the finish (scuppering my plans to rise in the rankings) . . . the words “Quit” and “DNF” were banging on the doors in my mind. But those pronounced extreme highs cannot exist without the experiences of the extreme lows: otherwise, how do you know you are experiencing an extreme high? They are the yin and the yang, the interdependence of which create these powerful, intense lifelong memories from running for multiple days across tough environments. Stay tuned for Stage-by-Stage updates!